Riverport condos at Waterstone Pier - 14100, 14200 and 14300 Riverport Way, is an adult oriented complex. Surprisingly, many Richmond and Vancouver home buyers are not aware there is such a unique waterfront condo complex that existed in Richmond. This complex features 139 units with 48 units each at 14100, 14200 and 43 units at 14300 Riverport Way, Richmond. 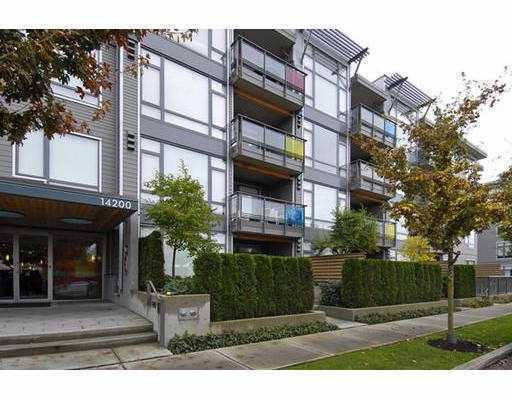 These Richmond waterfront condos are mere meters away from the Fraser River! The 3 buildings were designed to allow for the optimum balance maximize visual surrounded by large landscaped courtyard spaces. Some condo units have spectacular views of the the river and Mt. Baker. A public waterfront walkway at Waterston Pier is integrated into Richmond's public trail system. Completed in 2007, Waterstone Pier's condominiums are consisted of 3 separate four-storey wood-frame buildings over underground parking. Built with an emphasis on sustainable building practices, this was BC's first wood-frame geothermal development, and first as a private utility for heating and cooling costs. The geothermal heating and air-conditioning components of Waterstone Pier mean residents will enjoy year round ambient temporature and savings on heating and cooling their homes. Designed by the award winning team at Hotson Bakker Boniface Haden Architects (the architectural firm responsible for shaping Granville Island), residents at Waterstone Pier condos at Riverport are like living in a summer resort. The inclusion of "corrugated steel cladding" in the exterior connect this residential project to its past (former industrial waterfront buildings were clad with corrugated steel). The environmentally-tuned complex (featuring geothermal heating and airconditioning) simply enhances the spectacular views.